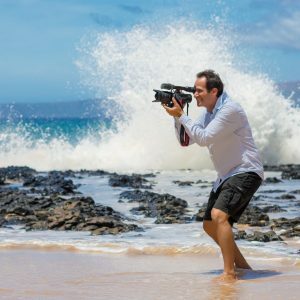 Since 2002, Yourwebcast.com has been providing Maui and Hawaii with professional video production services to corporate and event planners that impact their audiences beyond expectations. An independent multimedia production company, Yourwebcast. com delivers high quality professional products to our clients. We film over 300 weddings per year. We utilize the most current video, audio and digital editing technologies to ensure highest quality in video imaging. All our videos can be used with or without webcasting.Webcasting your event brings you to the world. 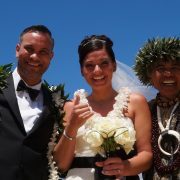 Bringing a wedding or meeting on-line gives you an opportunity to invite everyone who could not attend. An online commercial can jazz up a boring website and have more of an impact in conveying your message than the written word could ever do. 3000 and counting...From start to finish we work with you to produce a video that you will be happy to watch for generations to come. If you want all our videos can include a on demand webcast. Using a combination of HD video and stills we complete a visual tour of any property to peak a clients interest at reasonable prices. Our venues have been the 1200 seat MACC with multiple cameras, the Mccoy Theater, The Maui Ulalena Theater, Seabury Hall. We have been the official video production team for the Realtors Association of Maui since 2006. 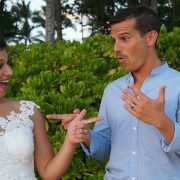 ***** Reviewed On 5/03/16 Brian was amazing to work with and did everything possible to make sure my husband and i were happy with our vow renewal video! 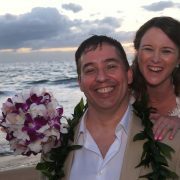 If you have a special event coming up on Maui, call Brian! OMG!!! After traveling 3000 miles from Canada , Brian helped make our day stress free and was a blast to work with. We smiled for 2 hours. The video was more than i could ever had dreamed. It was amazing that our family and friends back home were able to view the entire edited video the next day. Please feel free to call 808.205.3008 or email any questions you might have concerning a video we can produce for you. We will respond promptly to all requests.